Hey everyone! 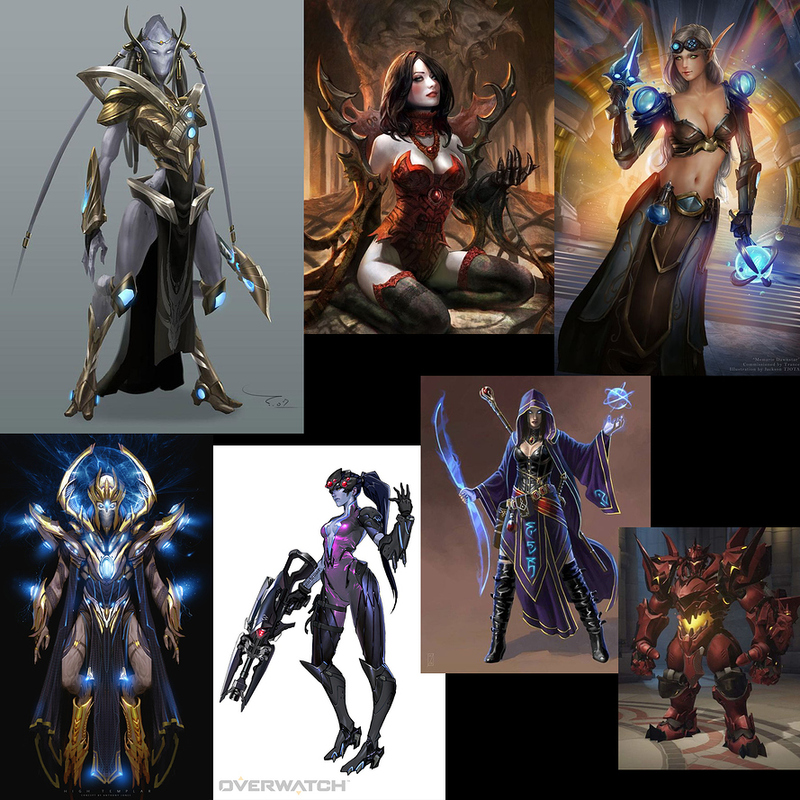 The idea for my character is an evil techno mage. 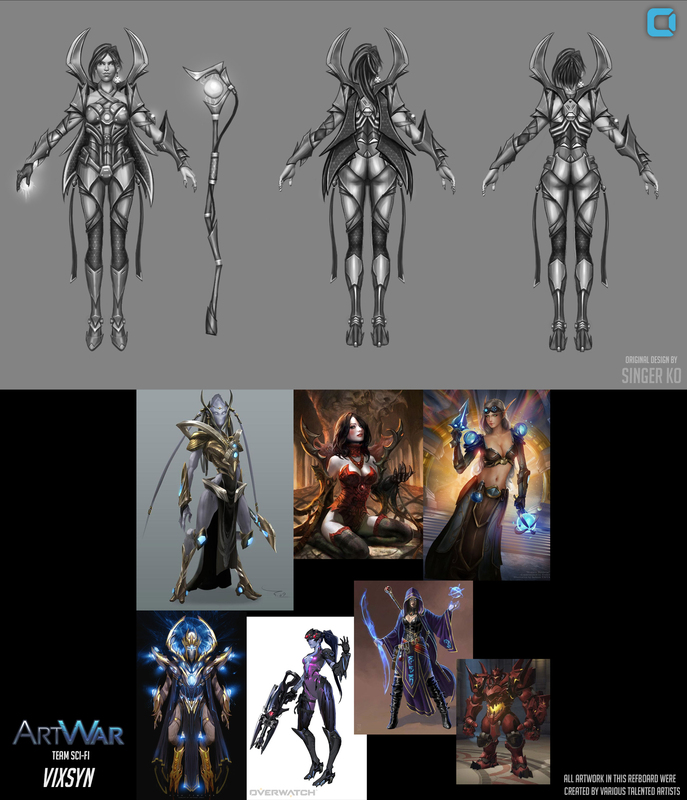 I'll be entering in the scifi category, but her armor will have some fantasy influences. 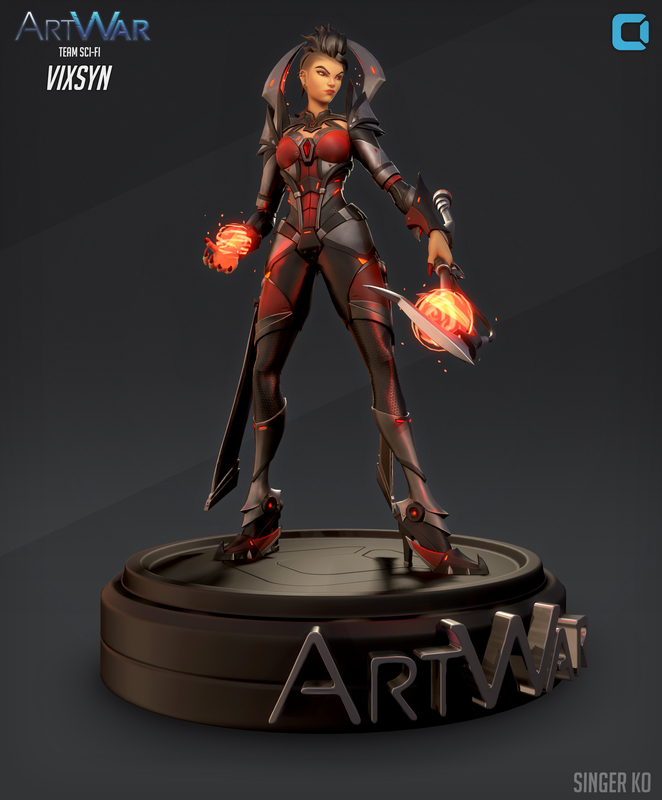 Aiming for a stylized PBR look for this one. Thanks in advance for checking out my piece! Any feedback is more than welcome, and good luck to everyone! 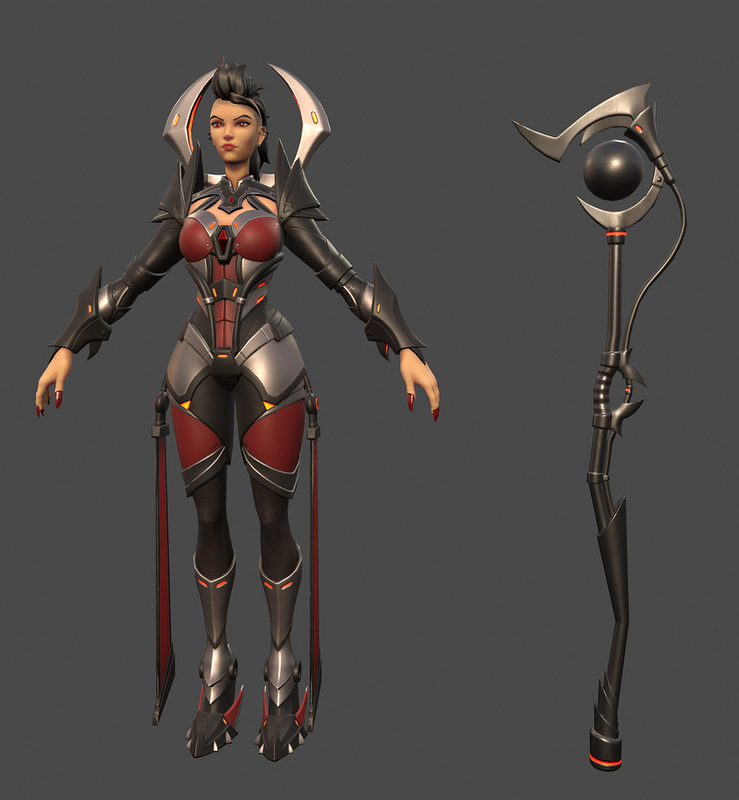 Finished modeling out all of the parts for my character and her weapon, and also added smaller surface details. The hair is still rough, but the main shapes are where I want them to be. 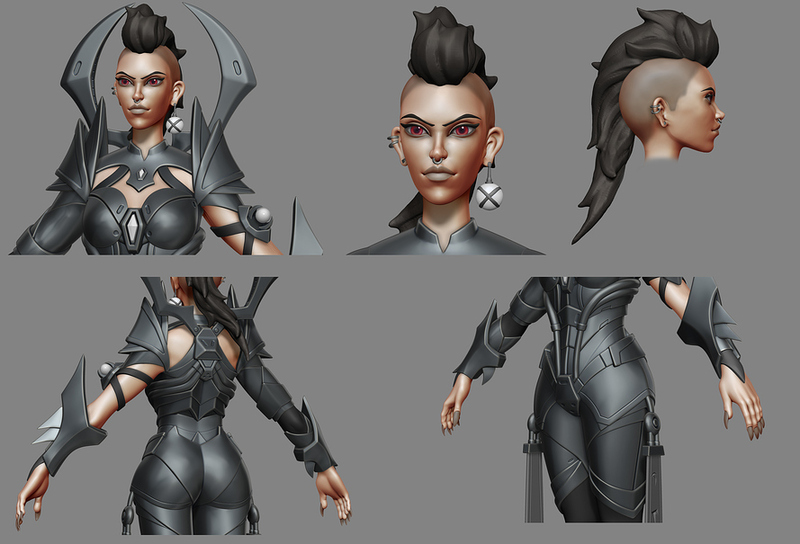 I'll probably start retopoing, and polish up the hair later on. Hey man, This looks great, lookin' forward to that finish! @itseffindan Thanks! Been making some good progress since my last post, so I should be able to finish in time. Adjusted the head, and simplified the overall design a bit. 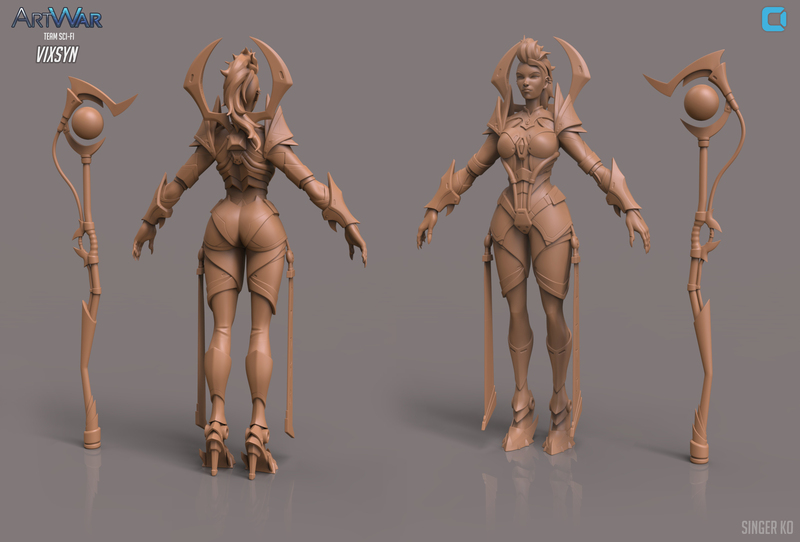 Finished retopoing, uvs, and bakes. Now I'm in the process of texturing! First texture WIP. Think I've found a color scheme that I'm happy with. Might bump up the saturation on the red parts a bit, not sure yet. 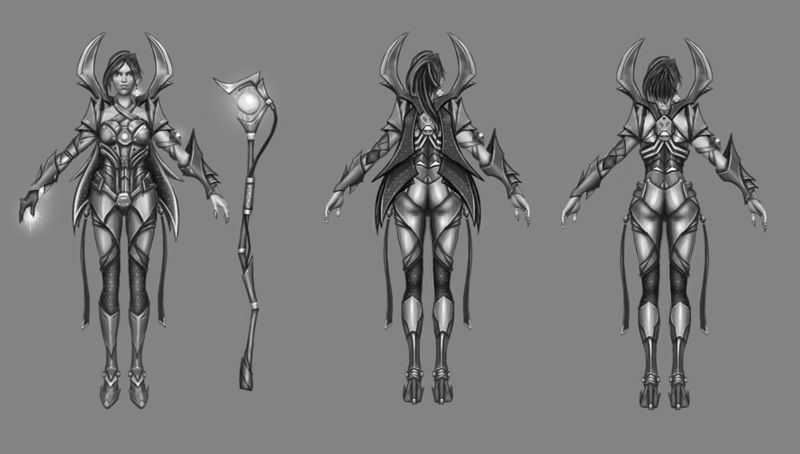 Still lots to do, including defining the materials for the arms, staff, and cloth pieces. After that I'll go back and do a grunge, and gradient pass. 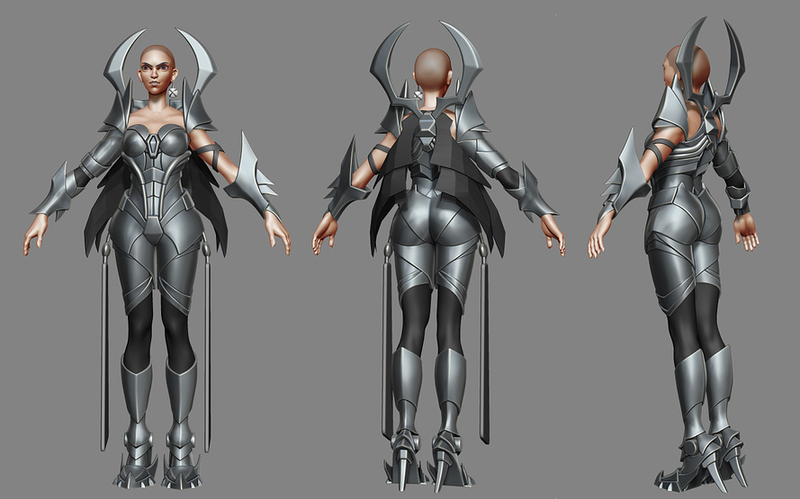 Then finally off to posing her and adding some fun glowy elements! Hey guys! Finished up my character, and here are her final shots. I had a ton of fun working on her throughout the challenge. Enjoy!